This weekend is a special one. Why,You ask? Well this weekend a lot of people get freaky and start their early celebration of one of my personal favourite Holidays: Halloween! You could watch movies, do a re-run of The Walking dead's Season Premier or be like me, dress up and party like there's no tomorrow! So dressing up for Halloween. I always plan my costumes (yes, multiple) way ahead, but if you don't got anything fantastic ready or when you just want to know how to spook the hell out of people this year...stay tuned, cause I will get you some of the best tutorials for beginners on...Zombie make-up! Yes! You can be a Walking Dead and it isn't super hard! So first things first. Girls, you probably will have almost every item in your bathroom already. Guys, you can join too, just rob your sister, girlfriend, mother, or the closest Chemist. if you are allergic to latex, there are simple crafts glues that work too, but is less durable. Just be sure you know you won't have an reaction to it. -Brushes and sponges to get this stuff all on that face of yours! this works for both boys and girls and is pretty basic, but as you can see. It's super cool! You can get started immediately...if you got the ingredients mentioned above that is. Be sure to start with a clean and dry face. So wash it, dry it and let's get started. 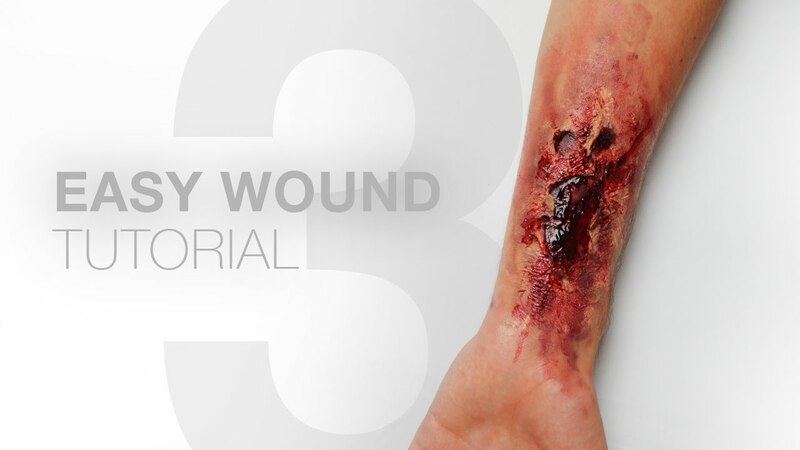 So if this is a little bit too heavy and you just want some scary wounds or bites, I found the best tutorial. There a no spoken instructions but every one can master this technique. The video uses white crafts glue instead of liquid latex, but these can be subsituted for each other. You can safely apply these techniques to your face. Please don't use it to close to your eyes and mouth and be sure you are not allergic/sensitive to the materials used. *be careful when using sharp things to create your scary scars. 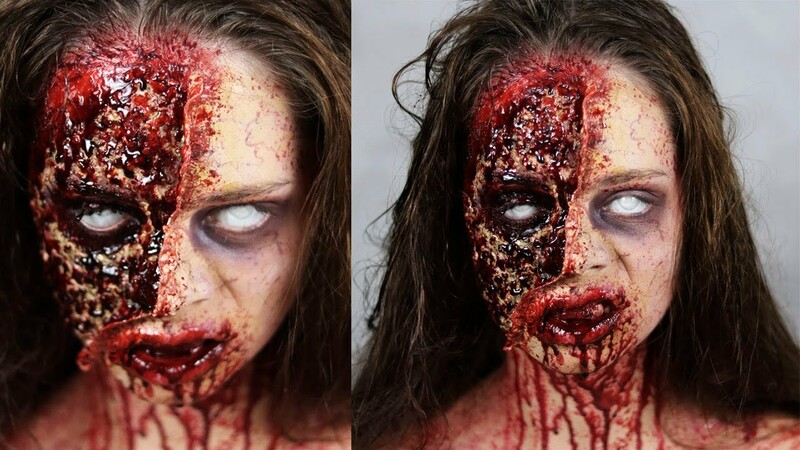 Well there you have it, two awesome tutorials to transform yourself this halloween. If you are celebrating Halloween as a Walker or someone from The Walking Dead please share your pictures with us! Avara Snow For anyone who is allergic to liquid latex (like me) mixing unflavored gelatin with a tablespoon or two of milk and warming it up for 15-second intervals until it's melted and mixed works wonders. Let it cool until you're able to touch without burning yourself. It looks and feels like real skin and lasts quite a long time. Also, doesn't pull out hairs like latex does. The only downside is the smell, but it fades after a few minutes.